At an event in Los Angeles today, Google unveiled YouTube TV. The service, which is not yet available or even ready to be demoed by press, is a live TV streaming service, similar to what you see from AT&T’s DIRECTV NOW and Sony’s PlayStation Vue. In addition to live TV, though, it offers access to the entirety of YouTube Red Originals, meaning its not exactly short on digital content. Priced at $35 a month, each account is granted up to six users, all of whom receive a catered viewing experience. 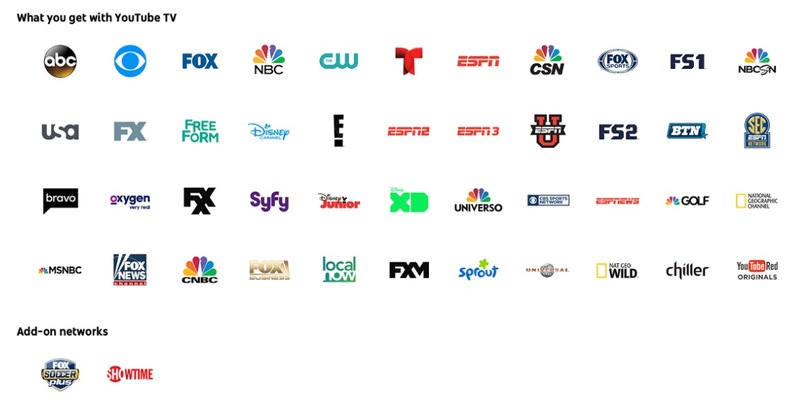 At launch, YouTube TV will offer ABC, CBS, FOX, and NBC, as well as about 30 cable channels. Not only that, but the service offers cloud DVR with no storage limits, support for using it on a variety of devices (Chromecast, tablet, Android, iOS, desktop, etc), all capped by no contracts or service agreements. Above you can see the channels offered at launch. You will notice a few major omissions, including an HBO add-on (but you can already buy that separately), but maybe more importantly, a set of channels provided by Viacom and Turner Broadcasting, Without those, you won’t find access to Comedy Central, MTV, CNN, TBS, TNT, AMC, as well as A&E. While they won’t be part of the initial rollout, it’s still possible they will come at a later time, but who knows. For sports fans, YouTube TV will indeed offer ESPN, plus regional sports networks like Fox Sports and Comcast SportsNet. That will be good for watching local NBA and MLB teams. 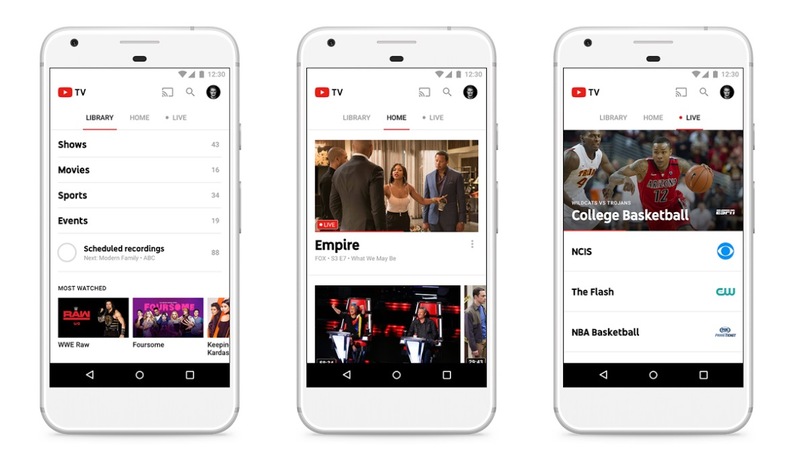 YouTube adds that it has partnered with local TV stations, too, allowing viewers access to local sports and news based on where you live. As for where it will be available, YouTube and Google gave no specifics. Currently, “YouTube TV will be available soon in the largest U.S. markets and will quickly expand to cover more cities across the country.” So, yeah, not much help there. If you’d like to sign up for updates regarding YouTube TV, follow the link below. For additional details, follow the via link.